Add lecithin granules to drinks such as smoothies, shakes, fruit juices, etc. You can also add it to foods such as your morning cereal or blended into other favorite foods such as sauces and soups. 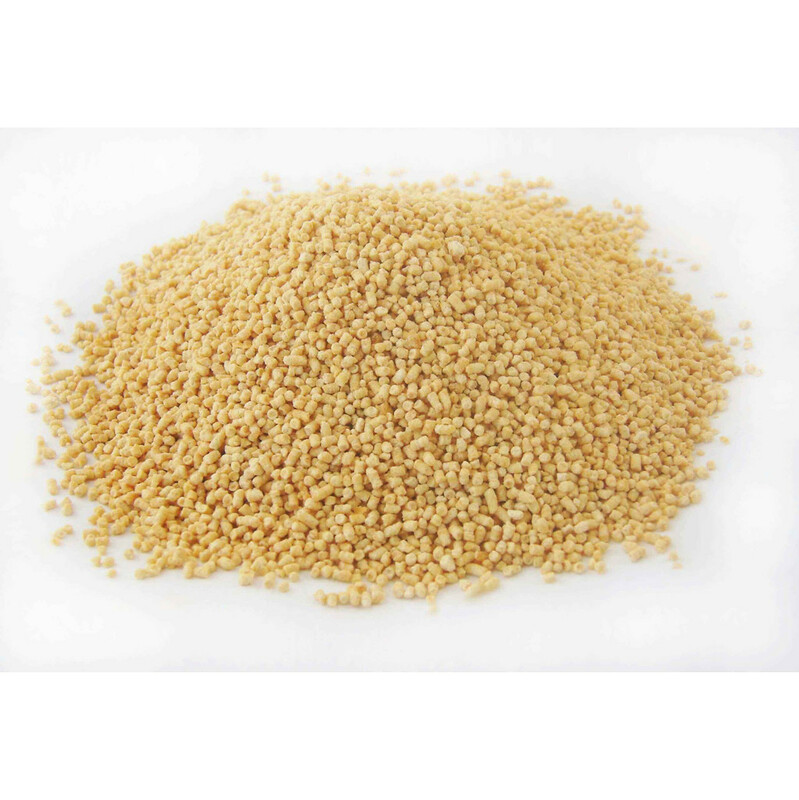 Lecithin Granules (from Soybeans - Certified less than .01% G.M.F. Content) Helps emulsify cholesterol and prevent Atherosclerosis (hardening of the arteries). Assists the immune and nervous system and helps prevent gallstones. Lecithin is a lipid that is required by every cell in the body. Cell membranes which handle the flow of nutrients in and out of the cell are composed largely of lecithin. The protective sheaths around your brain are also made of lecithin. Lecithin is used:- to prevent arteriosclerosis, protect against cardiovascular disease, improve brain function, increase energy levels, repair damage from alcoholism, help in digestion of fats, aging, immune system disorders, AIDS, herpes, and chronic fatigue syndrome. 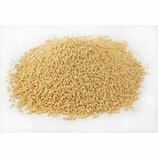 Probably the best way to get a lot of lecithin easily is to take lecithin GRANULES. Stir the granules quickly into juice or milk. They won't dissolve, but rather will drift about as you drink. Lecithin granules can also be used as a topping on any cold food. Ice cream comes to mind. Also, they are not bad if stirred into yogurt. If you put lecithin granules on hot food, they will melt and you will then have liquid lecithin. Dosis: Just 1 teaspoon per day.